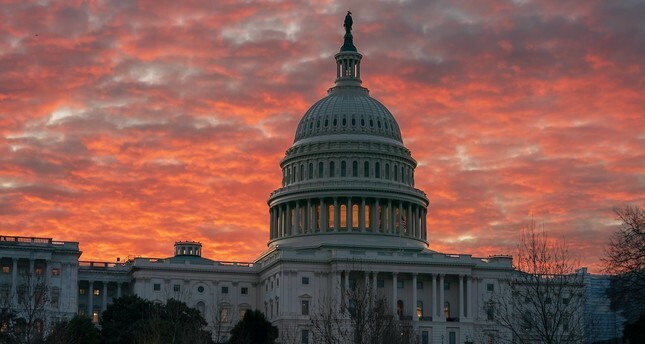 The Capitol is seen at dawn as Congress returns to work in Washington, March 5, 2019. On the return trip from Sochi last month, Turkish President Recep Tayyip Erdoğan spoke to the press corps, including myself, about the S-400 air defense system. That day, he announced that the delivery date had been moved up to July. Erdoğan added that U.S. Vice President Mike Pence delivered a message from Donald Trump, who urged him to cancel the S-400 agreement with Russia. According to the Turkish president, Turkey told the Americans that the S-400 agreement was a done deal. Turkey's determination to strengthen its air defenses strains its relations with the United States. The Americans have been telling their Turkish counterparts behind closed doors that they must change their minds. They warned that Turkey would risk the delivery of the F-35 fighter jets if it insisted on buying Russian equipment. In recent days, those threats became public. Charles Summers, a spokesman for the Pentagon, told reporters that Turkey would not get the F-35s or Patriot missiles if it went ahead with the S-400 deal. To nobody's surprise, there has been an uptick in the number of anti-Turkey stories and articles in the U.S. media. Reporters and commentators even began questioning whether Turkey belonged in NATO. Such thinly veiled threats are not enough to change Ankara's calculus, because the S-400 procurement has been on the table for a long time. The Turks have been trying to buy an air defense system for 10 years. And the Americans have been keeping Turkey at bay for 10 years. Turkey's first attempt to purchase a long-range air defense system dates back to 2009, when regional threats compelled the Turks to strengthen their air defense. The first public tender took place in 2010. The United States, Russia, China and an Italian-French joint venture competed over the deal, under which Turkey asked for a reasonable price and joint production. No bidder, except China, agreed to joint production at the time. When the Turks proceeded to negotiate with the Chinese manufacturer, Washington started complaining. U.S. media outlets claimed Turkey was initiating an "axis shift." The relationship began to deteriorate. Five years later, Turkey gave the Americans another chance, seeing that the Chinese could not meet Turkish demands. The Turks wanted to buy the Patriot missiles from the United States under the condition of joint production. Washington disagreed. The U.S. wanted Turkey to buy from Washington at a high price and without joint production. Around the same time, the Turkish government entered into talks with Italian manufacturers, but to no avail. In the end, Russia agreed on joint production and Turkey moved forward with the S-400 procurement. What happened over the last decade raised serious questions among Turkish officials about the reliability of their allies for several reasons: The U.S. does not agree on joint production because it wants Turkey to remain dependent on Washington for defense. Ankara, in turn, does not wish to outsource its national security to foreign governments. In 2015, at the height of the Syrian civil war, the Americans abandoned Turkey by taking back the Patriot missiles. Such developments convinced the Turks that they needed their own air defense system. Today, the U.S. threatens to block the delivery of the F-35 fighter jets – for which Turkey has already paid. That the Americans resorted to this method deepened Turkey's distrust. Now, the Turkish leadership wonders whether Washington will even deliver the Patriots if they shake hands on the deal with the Americans.